Our contemporary Queen Superior room offers more space when traveling with friends or family. 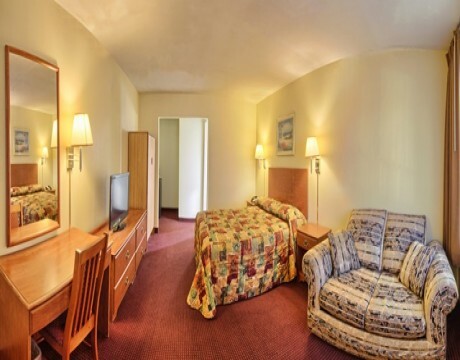 This Queen Superior room features pillow-top Queen Beds, a spacious and well-appointed private bathroom, personalized climate control, and premium cable TV with HBO and ESPN. Additional amenities include an iron with ironing board, in-room coffee, and tea maker, and a refrigerator, and microwave. Stay productive at the comfortable work desk with free high-speed WiFi and a direct dial telephone. 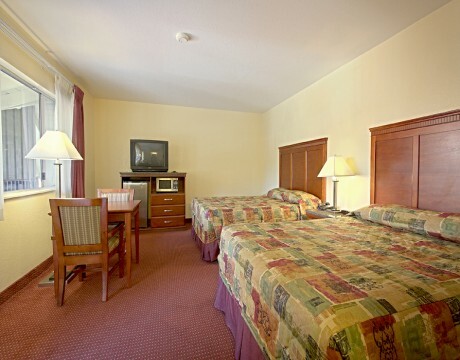 Queen Superior Room and signature amenities for your comfort.